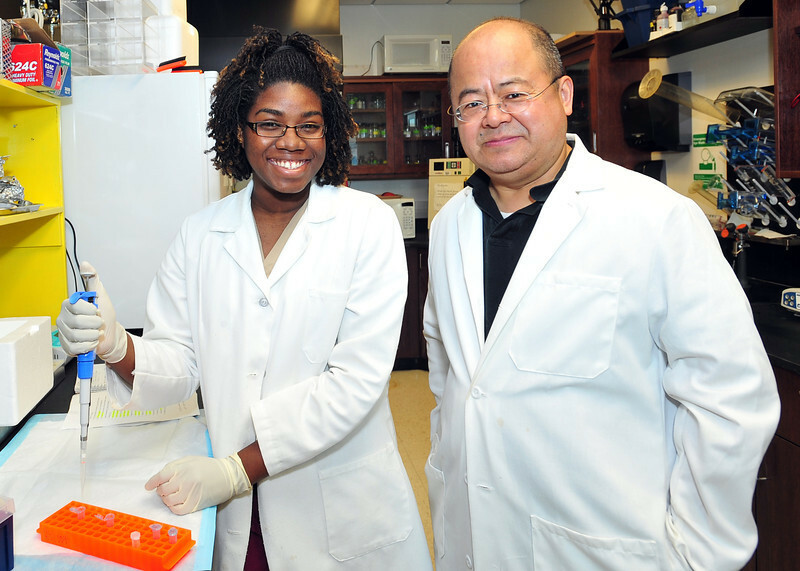 Ashlea Hendrikson, shown at left with her mentor Dr. Hongwei Yu, is one of 12 undergraduate students spending this summer as a biomedical research intern at Marshall University. A student at Oakwood University in Huntsville, Ala., Hendrikson is participating in Marshall’s Summer Research Internship for Minority Students (SRIMS) program. Photo by Rick Haye/Marshall University.